*For custom music’s terms & conditions, please see Custom Music License Agreement. 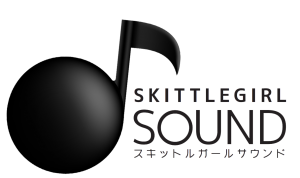 All music always remains the copyright of the composer Satoko “Holly” Young, also referred to as Skittlegirl Sound. By accepting any music files from Skittlegirl Sound, whether under Skittlegirl Sound’s Custom Music License or Royalty-Free Music License, you acknowledge and agree to the stated terms, conditions and limitations of use contained in the applicable license. This music license option refers to any purchasable music which we provide in our Royalty-Free Music Shop. All purchases made in the Royalty-Free Music Shop are final and may not be refunded. When you successfully complete the download of any royalty-free music, Skittlegirl Sound’s fulfillment obligations are considered complete. However, if any problems are encountered with a downloaded file we’ll be happy to help resolve any issues. In the event that this occurs, please contact us via this form. The rights and limitations listed below are applied upon purchase. When you purchase royalty-free music which is created by Skittlegirl Sound, you are granted the exclusive, non-transferable right to use the music in your multimedia projects. You are authorized to synchronize the music in timed relation with any production, such as an application, game, film, internet video, photo slideshow, presentation, or other digital media. You are authorized to make adjustments to the file in order to change file types, adjust the length or loop of the music, or alter the overall volume. The music must be used as an accompaniment to the main production. You are not authorized to add lyrics, vocals or additional instruments or sounds to music from Skittlegirl Sound without the express written permission of Skittlegirl Sound. Note that narration, voiceover or any other word based content that is supplied as a narrative to the project itself and is independent of the music track shall not be considered lyrical or vocal content. You are not authorized to make any changes to the files provided other than the adjustments stated above. You are not authorized to remix the music or sample the music and use it along with other musical material. You are not authorized to copy, duplicate, resell, provide access to, or give away unsynchronized music from Skittlegirl Sound by any means including soundtrack, stand-alone downloads, ringtones, streaming audio, audio CDs or any other delivery method without the express consent of Skittlegirl Sound. All purchases made in the Royalty-Free Music Shop are final and may not be refunded. If you have any questions regarding the use of our music, licenses, or any questions or problems regarding any of the above information, please let us know via the contact form. © 2012-2019 Skittlegirl Sound All Rights Reserved. | Logo & Background by Mieko Haire.